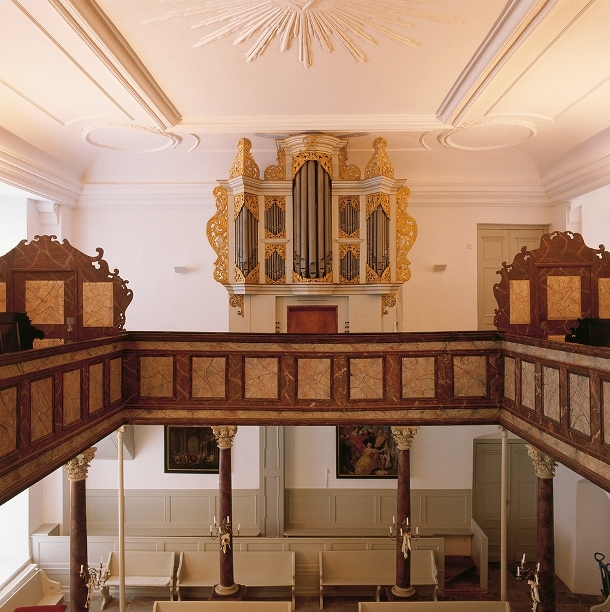 Source: https://commons.wikimedia.org/wiki/File:Eutin_kapell_orgel_2013a.jpg Click at the photo to enlarge. 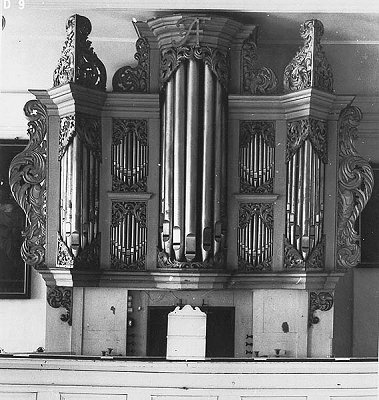 1693: New organ by Arp Schnitger. 1733: Repairs by Reinerus Caspary. 1765: Repairs by Christoph Erdman Vogel. 1820: Repairs by Leonhard Miek. 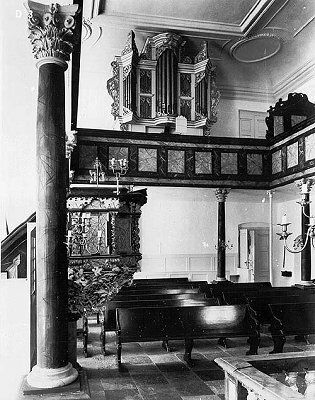 1984: Church was closed for restoration. 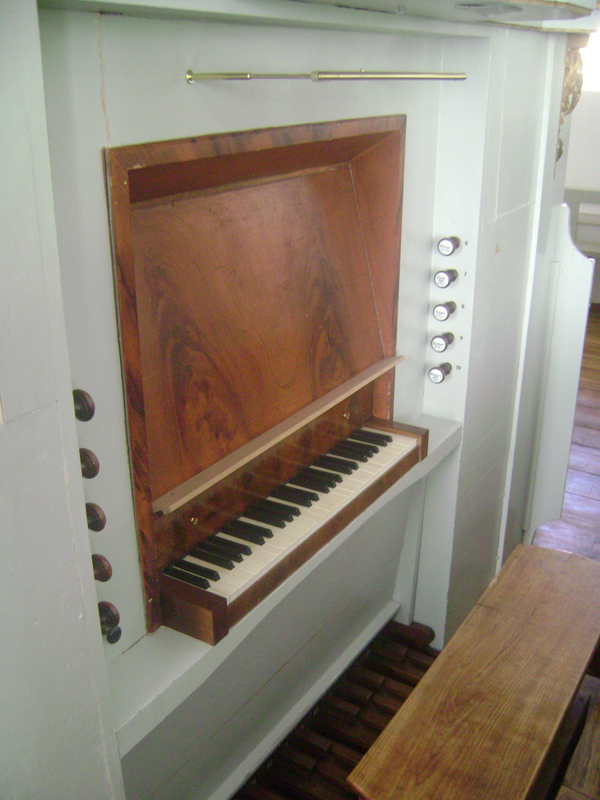 2009: The organ of Johann Friedrich Schulze form 1862 has been restored by Rowan West. 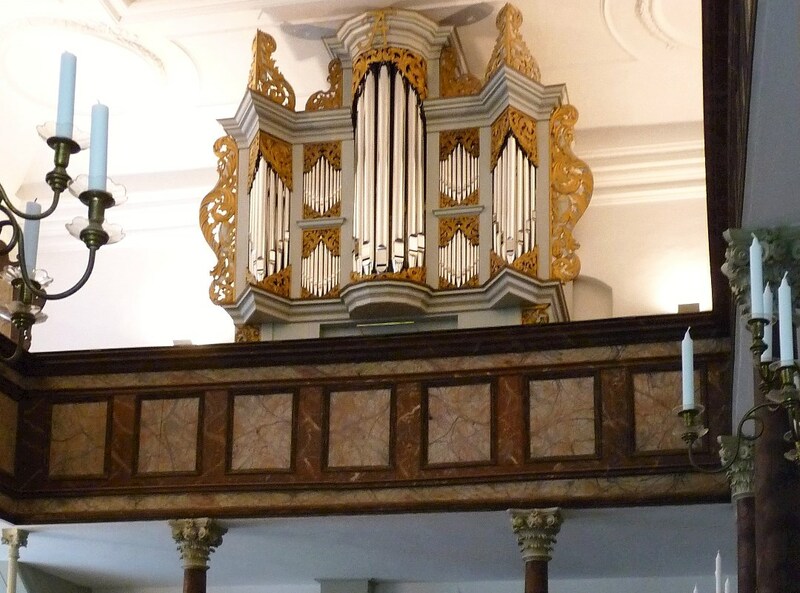 By this restoration was discovered that the titles of the stops from Schnitger were still preserved behind old colors. At this moment there is no money for further investigation an a probable restoration of the stoptitles.